Dell PowerEdge 4U rackmount servers are specifically designed as scalable powerhouses for processing and memory intensive database, virtualization, HPC , and OLTP applications. Aventis Systems offers Dell PowerEdge 4U rackmount servers in several generations with a wide range of options and configurations to fit just about any requirement and budget. 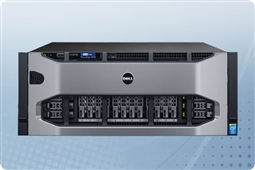 Find the best Dell 4U server to suit your business needs. Also check out our large selection of robust HP ProLiant servers and our other Dell PowerEdge servers. 365GB (5 x 73GB) 15K U320 SCSI 3.5"